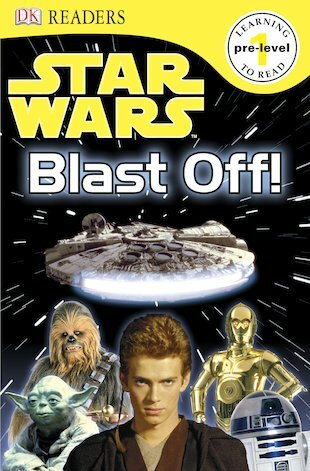 DK Readers: Star Wars - Blast Off! Zoom to the Galactic Empire in your spaceship and meet Jedis, aliens and droids! Are you ready to blast off into adventure? Designed to engage even the most book-shy child, this picture-packed first reader from the popular DK Readers series turns the wonderful world of Star Wars into a simple and engaging story which beginner readers can use to build their preliminary skills. Part of an exciting set of Star Wars readers, it’s a great way to enthuse little ones about books and get them begging for more!